Cheerful hardy perennial geranium. 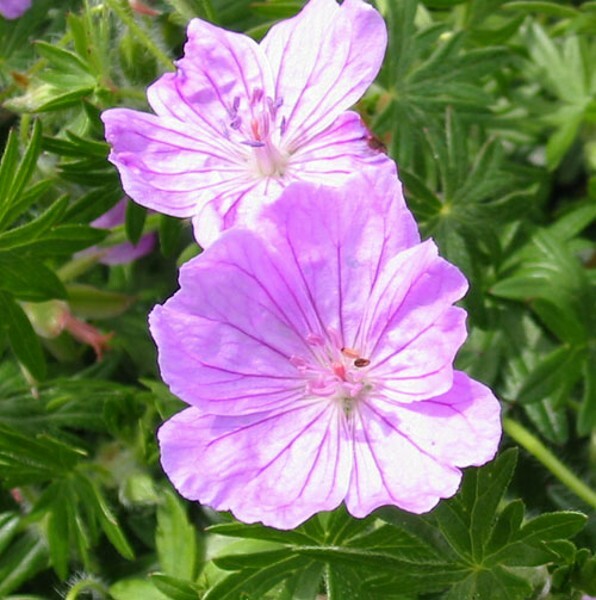 Forms a soft hummock of leaves topped with clear, pale pink blooms. Foliage colours red in autumn. Height & spread 30x60cm. Full sun or partial shade. Loved by bees.